Dinosaur Derivatives and Other Trades is an entertaining and compelling tour de force highlighting the paradoxes inherent to the modern financial system. Presented as a series of striking case studies, this book explores certain enigmatic or philosophical puzzles in the finance industry; some of these puzzles may seem slightly absurd at first glance, but all are very relevant to the way finance is conducted in the real world. Each story highlights specific hypocrisies or moral dilemmas that lie at the heart of the system, guiding readers through the challenges of finance by way of innovative and memorable paradigms. Written in clear, accessible language, this book doesn't claim to offer original financial theory or philosophy as such, but instead deepens the reader's understanding of the system and stimulates independent consideration of the current state of affairs. The financial world, so often viewed as a rather dull place, is secretly alive with possibilities of strange and sometimes wonderful conundrums. There is the possibility, for instance, of a Manhattan auction house selling derivatives to buy swift-swimming predators known as Megalodons (thought to be extinct for millions of years). This book explores this and other curious propositions to point out the paradoxes of finance. To truly understand something, it is necessary to crawl deep into the metaphorical underbelly and have a look around. 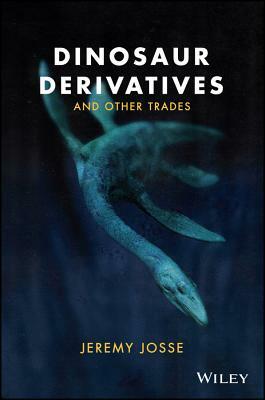 Dinosaur Derivatives and Other Trades provides the itinerary, and the insightful discussion that stimulates curiosity. JEREMY JOSSE has spent the last twenty-plus years of his career working as an executive in some of the world's leading financial institutions, including Schroders, Citigroup, and N M Rothschild. He has published numerous articles on a wide range of financial subjects including the credit crisis, bank restructurings and financial engineering.